Laser Light Surgery Center was developed so that patients would have a safer and more effective place to have laser procedures performed. 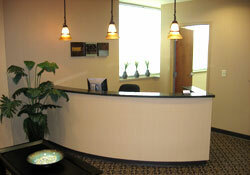 Simply stepping into our office you will be able to see the professionalism which separates us from other laser clinics. 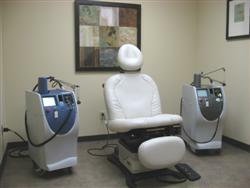 Currently, many patients go to med-spas or franchised laser clinics that have very poor supervision. Physicians are almost never on-site and almost never examine the patients. The med-spas and franchised clinics advertise well, but they risk patient safety and often have less effective results. We have seen patients treated at other facilities who have either had poor results or adverse reactions including scarring. At Laser & Light Surgery Center, rather than having unsupervised technicians perform the procedures, patients can have their procedures performed by physicians using the safest and most effective lasers available. ​Since our mission is to allow all patients to have access to the best lasers, we also allow qualified local physicians to use our center for the treatment of their own patients. These physicians understand the importance of having access to the best lasers.In the past, due to the high cost of lasers, some of these physicians would have to buy a single laser that could do many types of procedures, but was not the best for any procedure. Now they can always choose the best laser for the procedure they are doing.